Given the theme and associated copyright issues, it is a game that is extremely unlikely to ever be published, so it is destined to be no more than a very limited edition "fan game". It did receive some playtesting back in the day and showed some potential, but definitely needs a spruce-up in terms of graphics as well as streamlining of the rules - probably a few dozen hours of my time - and the purchase of new blocks. 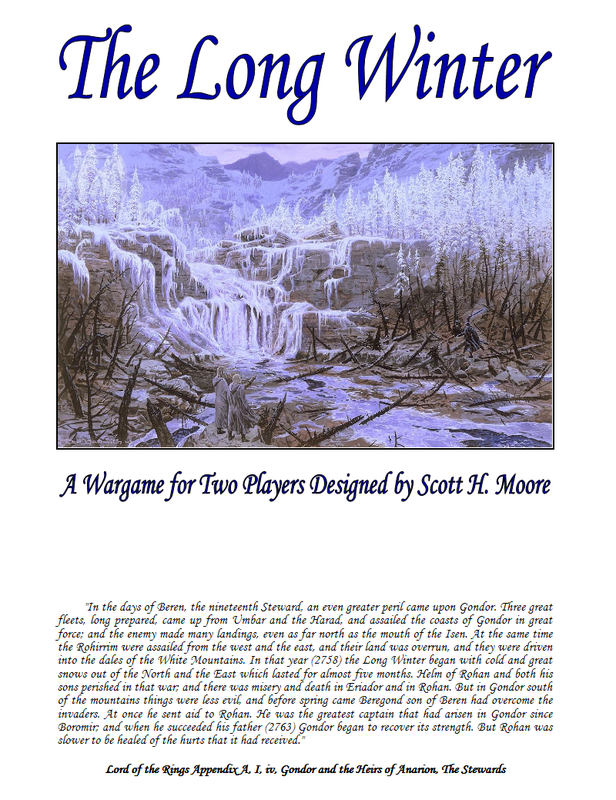 Based on a short passage in Lord of the Rings Appendix A, it is called "The Long Winter" and is set during the Third Age 2758. For scale and complexity it is comparable to the Columbia block games East Front or Victory in Europe. 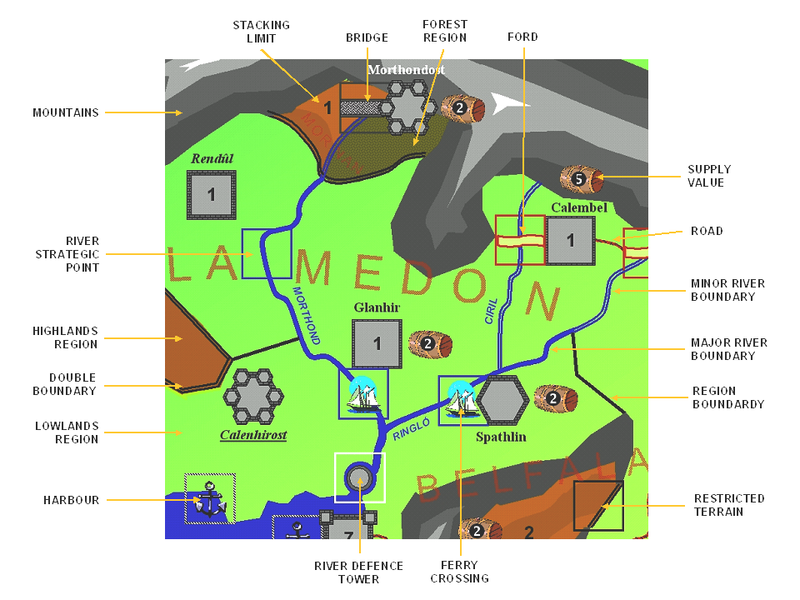 It features 160 blocks, 5 nationalities (Gondorians, Rohirrim, Corsairs, Dunlendings, Easterlings) which can be played by 2-5 players, both land and naval battles, siege combat, supply trains, weather. There is no magic and it is strictly humans, but there is personal combat between leaders to give it a bit of high fantasy feeling. As you know war games are not my thing but I'm interested to follow the onward march of Cromwell. It would be cool to have a published designer in our group. I agree!! Hopefully you will have some good news in the next few weeks and who knows - Essen 2016 will soon be here!!!!! Yes, it would be nice to see Columbia Games pushing Cromwell as Essen 2016! This year they are offering Last Spike, which is a redesign of a train game from 1976 - I don't think they are going to break into the Euro market with this, though I suppose it may sell better than the typical wargame. I am also working on a mid-weight euro game. It is based on a game I designed a few years ago about the development of settlements in medieval Hungary. This game seems to work quite well but is a little dry, so I decided to retheme it - the setting is now a fantasy kingdom. 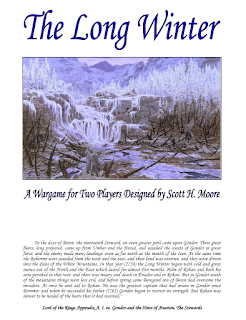 I will be doing some solo playtesting over the next few weeks and if it shows promise then I'll spend another few weeks on graphics for the playtest kit.